New York, NY: Audioworks/Simon & Schuster Audio Division, 1999. BOXED SET/FULL SET/4 AUDIO CASSETTES. Cassettes/BRAND NEW. Box/VG; sound & intact, but shelf-worn.. 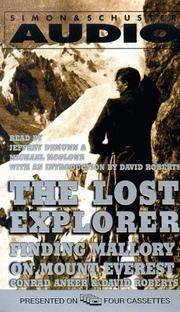 This audio presentation is an abridgement ot The Lost Explorer (published 1999); read by Jeffrey Demunn & Michale McClone, w/an introduction of David Roberts. R running time approx. 4.5 hours. 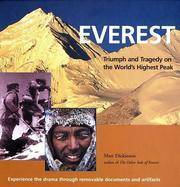 An account of American mountaineer Conrad Anker's (1962 -) discovery of the body of George Mallory on Mount Everest, and, 17 days later to become a first to conquer the Second Step on the North Ridge. It was June 8, 1924 that British mountaineer George Leigh Mallory (1886 - 1924) and Andrew "Sandy" Irvine were last seen when they were but some 800 feet short of the summit of Mount Everest. Many long wondered might the two have reached the summit before the ascent of Sir Edmund Hillary and Tenzing Norgay? This is an audio account of Anker's finding Mallory's remains May 1st, 1999. The naturally mummified body was found at 27,000 feet on Everest's north face with telling clues to his last moments including goggles in the pocket, an altimeter, and a wrapped bundle of personal letters. 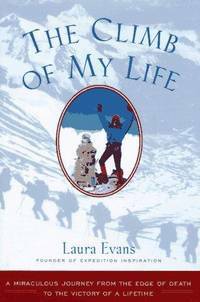 Memoir and biography of two outstanding mountaineers.. Boxed Set/4 Audio Cassettes. Boxed Set/4 Audio Cassettes. New/None as Issued. Boxed Set/4 Audio Cassettes. New York, NY: Anchor Books/Doubleday, 1990. BRAND NEW Copy. 12 essays , barring the closing story which was written for this collection, previously published elsewhere. Vivid experiences of mountaineering, personages devoted to the dangerous sport, and attendent hardships and victories those who climb. 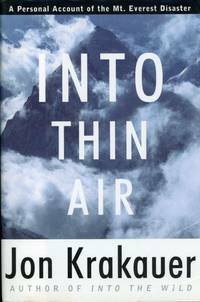 Author Jon Krakauer himself has known the challenges of K2, Denali, Everest, and, the Eiger, and writes superbly.. First Edition, 15th Printing. Soft Cover. New/None as Issued. By Hellweg, Paul; Fisher, Donald B.
Glendale, CA: LA Siesta Press, 1982. New Copy w/price-sticker removal scar to lower back corner of softcover. Rock climbing guide to Stoney Point, a 22 acre rock upthrust northwest of Los Angeles; its sandstone bluffs long favored training ground for rockclimbers. 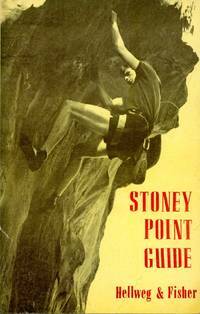 Preceded by geological and climbing history, volume covers top-roped climbs and bouldering. Illustrated w/maps, photos & line drawings, text is augmented w/3 appendices.. First Edition, First Thus. Soft Cover. NEAR FINE/None as Issued. Illus. by Glenn Katz (Photographer); Sid Mountain (Illustrator). New York, NY: St Martins Press, 1997. BRAND NEW COPY w/a whisper of edge wear to dustjacket. Faint discoloration (publisher's flaw?) to back of white boards. 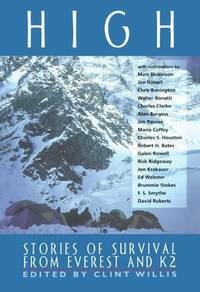 An account and analysis of the Mt Everest climb of May, 1996 when twelve mountaineers lost their lives in one of the great tragedies in the mountaining history of Everest. Collaborative work by expert and heroic Russian head expedition guide Anatoli Bourkreev (1958 - 1997), and, writer & investigative film-maker G. Weston DeWalt. Volume draws on Boukreev's expedition logs, personal journals, letters and reflections. A thought provoking and sobering account.. First Edition, 5th Printing. Hard Cover. NEW/New. New York, NY: Times Books/Random House, 1999. BRAND NEW & COLLECTIBLE. Stated First Amerian Edition. Expedition/adventure. fIRST Published in UK under the title : "The Death Zone". 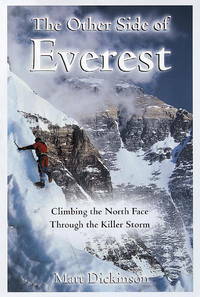 In 1996 film-maker and writer Matt Dickinson, with foremost British mountaineer Alan Hinkes, successfully scaled Mount Everest's North Face despite hurricane force winds and brutal temperatures. Dickson is the first British film-maker to film on the summit and return alive; his film, Summit Fever, is highly acclaimed. A gripping and refreshing account.. First American Edition, First Thus. Hard Cover. NEW - COLLECTIBLE/New. First American Edition. Berkeley, CA: Lonely Planet, 1993. BRAND NEW & COLLECTIBLE. 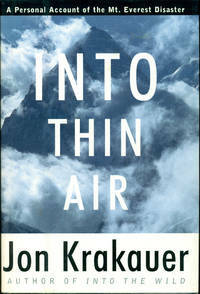 Stated First Edition, August 1993. Guide to walking in the high moutains of East Africe. Hiking through deserts, grassy hills, dense bush, rainforest, moorlands, bare rock, and ice. 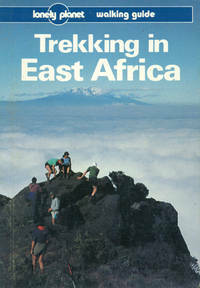 Volume covers treks, mostly through nat'l parks, in the main peaks and ranges of Tanzania, Kenya, Uganda and Malawi. and, lesser ones as well. Maps precede text; illustrated with color photos. Given rapid social changes, book is also a historical record of the region in the early 1990s.. First Edition, First Thus. Soft Cover. NEW - COLLECTIBLE/None as Issued. Illus. by Jill Bitten; Corinne Else; David Else; Jeff Williams (Photographers). Stated Edition. New York, NY: Macmillan, 1971. Text/BRAND NEW & Bright. Black linen boards/NF. DJ/Good; strong & sound w/nips, chips, faint creasings & closed tears to edges. Map of China to endpapers. Illustrated with archival photos. Historian Barbara Wertheim Tuchman (1912 - 1989), twice winner of the Pulitzer Prize; first for The Guns of August (1962), and second, for this biography of Gen. Joseph W. Stilwell (1983 -1946). 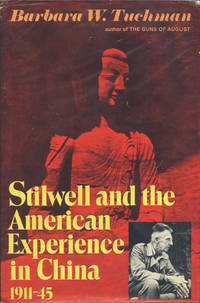 Stilwell was military attache to China and US chief of staff to Generalissimo Chiang Kai-shek in 1942 - 44; time when China faced Japanese invasion from without, and adept guerilla Communist insurgents (Mao Tse-tung) from within. Highly "American", hard-driving, caustic Stilwell was known as "Vinegar Joe"; his disparging nickname for Chiang was "Peanuts". In military strategy, Stilwell famously favored ground troops over air power ... putting him at odds with subordinate, Claire Chennault, of the Flying Tigers fame, who had the ear of Generalissimo Chiang Kai-shek. Of relevance, George Marshall acknowledged he had assigned Stilwell "one of the most difficult" tasks of any theater commander". An extraordinary moment in history when principal roles are played out by several colorful, and "larger-than-normal-life" protangonists, and, narrated by a superb historian.. BOMC First Edition, 2nd Printing, 1971. Hard Cover. NEAR FINE/Good. Phoenix, AZ: Arizona Dept of Transportation, 1998. BRAND NEW Copy. 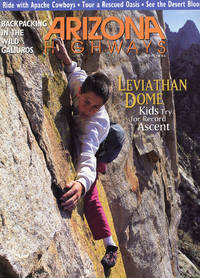 COVER ART: "Young rock-climber, Leviathan Dome", photo, Jeff Kida. This May 1998 issue features: 1, Scaling North Face of Leviathan with Young Climbers (Jom Boyer; Peter Noebels photos); 2, Galiuro Wilderness (Christine Maxa; Peter Noebels photos); 3, Desert in the Springtime (Jack Dykinga); and, other articles.. Volume 74, No 5, May 1998. Soft Cover/Magazine. NEW/None as Issued. May 1998 Issue. Mechanicsburg, PA: Stackpole Books, 2005. BRAND NEW COPY w/faint imprint of PO name to fEP. Orienteering. 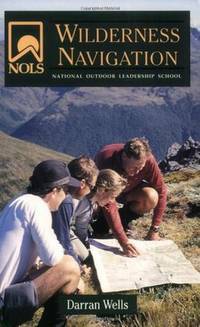 The National Outdoor Leadership School's official guide to finding one's way in the wilderness. Text, illustrated, covers navigational techniques, from map and compass to GPS, and, review of tools, equipment, and software.. First Edition, 2nd Printing. Soft Cover. Near Fine/None as Issued. Guilford, CT: Lyons Press, 1998. Text/BRAND NEW. Softcover/NF w/trace surface wear. Faint imprint of PO name to fEP. 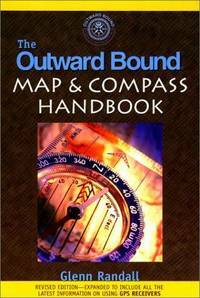 Classic handbook from Outward Bound on the fundamentals of map reading and use of compass and altimeter, revised and expanded to include GPS (Global Positioning System) receivers in the wilderness. 7 chapters illustrated w/line drawings.. Revised & Enlarged Editon, 4th Printing. Soft Cover. Near Fine/None as Issued. Guilford, CT: Falcon Guides/Globe Pequot Press, 2010. BRAND NEW & COLLECTIBLE. First Edition, First Printing. Flexible cloth softcover. Orienteering. On choosing and using a compass and altimeter, reading maps, in concert with a GPS receiver in the wilderness. 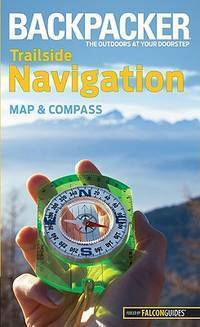 6 chapters, illustrated w/color photos: 1, Introduction to Trailside Navigation; 2, Topographic Maps; 3, Compasses & Altimeters; 4, Dividing the World; 5, Global Positioning Systems (GPS); and 6, Route Finding.. First Edition, First Printing. Soft Cover/Cloth. NEW - COLLECTIBLE/None as Issued. First Edition, First Printing. San Francisco, CA: HarperSanFrancisco, 1996. BRAND NEW & COLLECTIBLE. Autobiograhy and memoir. 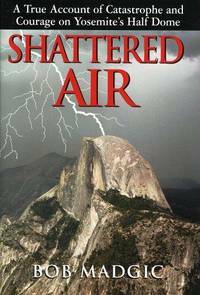 A survival story --- a will to overcome a dehibilitating bout with cancer and top it with conquest of a 23,000 foot-high mountain. Story of Laura Evans who so weakened by radiation treatment could barely negotiate 4 blocks, and be able to scale Argentina's Mount Aconcague. A one-step-at-a-time selfhealing pilgrimage, always reminding herself of her husband Roger's exhortation : "Cancer picked the wrong person." Laura's accomplishments and Roger's words benefit all face with misfortune ... and who is ever spared?! Laura Evans founded Expedition Inspiration to support cancer research in 1993.. First Edition, First Pinting. Hard Cover. Collectible - New/New. New York, NY: Da Capo PrBalliett & Fitzgerald/Thunder's Mouth Press, 1998. BRAND NEW & COLLECTIBLE. Stated First Edition. Anthology of 15 excerts, covering some 75 years, from classic mountaineering experiences of Everest in China and Nepal, and K2 of Pakistan. 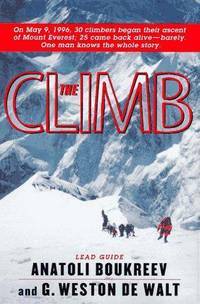 The narratives are: 1, The Other Side of Everest (Matt Dickinson); 2, K2: Dreams & Reality (Jim Haberl); 3, Everest the Hard Way (Chris Bonington); 4, On the Heights (Walter Bonatti); 5, Everest: The Unclimbed Ridge (Chris Bonington & Charles Clarke); 6, Everest Canada: The Ultimate Challenge ((Alan Burgess & Jim Palmer); 7, Fragile Edge (Maria Coffey); 8, Five Miles High (Charles S. Houston & Robert H. Bates); 9, In the Throne Room of Mountain Gods (Galen Rowell); 10,The Last Step (Rick Ridgeway); 11,Bad Summer on K2 (Jon Krakauer); 11, Snow in the Kingdom: My Storm Years on Everest (Ed Webster); 12, Soldiers & Sherpas: A Taste for Adventure (Brummie Stokes); 13, Camp Six: An Account of the 1933 Everest Expedition (F.S. Smythe); 14, K@: The Savage Mountain (Charles S. Houston & Robert H. Bates); and 15, The K2 Mystery (David Roberts).. First Edition, First Thus. Soft Cover. COLLECTIBLE - NEW/None as Issued. Stated First Edition. New York, NY: Harper Resource, 2002. BRAND NEW COPY w/remainder mark to lower text edge. 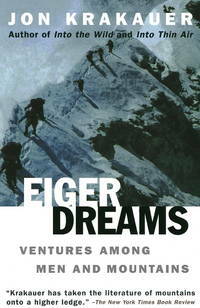 Historical milestrones of mountaineering illustrated with color photos with removable documents and artifacts iattached or nserted in pockets y --- loose documents include maps, a Nepalese prayer-flag, facsimiles of diaries and letters of climbers.. First Edition, First Thus. Hard Cover. Near Fine/None as Issued. Stated First Edition. San Diego, CA: San Diego Chapter of the Sierra Club, 1970. Text/BRAND NEW. Red softcover/NF w/trace corner tip wear. 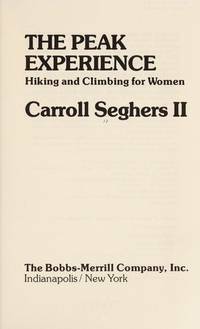 First published 1931; updates to this 3rd Edition are primarily updates to available mountaineering equipment. Basic guide. 11 chapters w/illustrations: I, Equipment; II, Alpine Camping & Cooking; III, Orientation; IV, Weather; V, Climbing Miseries & First Aid; VI, Mountain Travel; VII, Rock Climbing; VIII, Winter Travel & Snow Climbing; IX, Glacier Travel; X, Desert Travel; and XI, Alpine Rescue.. 3rd Edition, First Printing. Soft Cover. Near Fine/None as Issued.